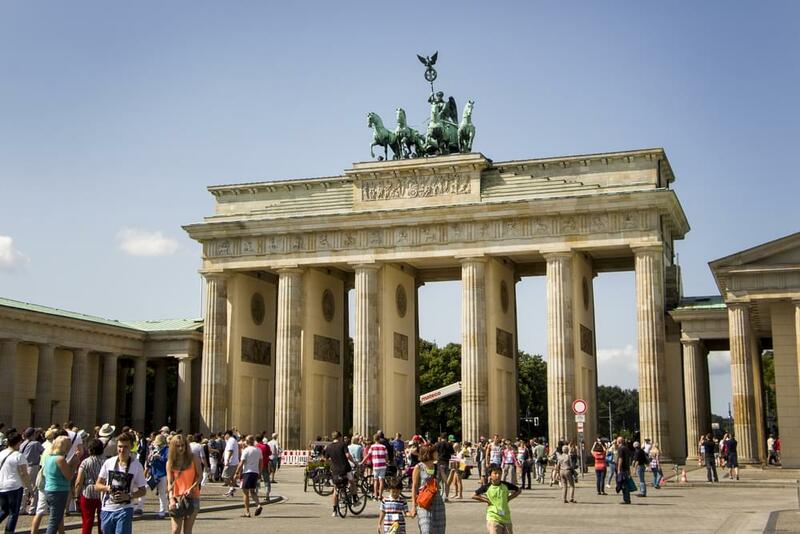 USA Today has dubbed Berlin “Europe’s Capital of Cool. In the summer, it blossoms and becomes a hot spot for party-goers and fun-loving people from all over the world. In addition to world-famous dance clubs, dozens of beach bars line the banks of the River Spree, and many riverfront clubs open up their summer terraces. Berlin, even with its never-ending construction, is a sight to behold in the summer. Its too bad there aren’t more airlines flying to this cosmopolitan megapolis. The capital of Germany doesn’t get nearly as much international traffic as Frankfurt and Munich, or even Düsseldorf. The new Berlin Brandenburg Airport is scheduled to open in 2016, so the city may see better service in the future. If you want to fly directly to Berlin from the U.S. before that, you have two options, both from New York. American Airlines’ oneworld alliance partner airberlin flies to Berlin from JFK, and United Airlines flies to Berlin from Newark. Getting those seats in first and business class is a tough task though, especially in summer. Fortunately, there are options with connecting flights even in peak season. The best possible way to snag a saver-level business class award seat to Berlin out of New York is on airberlin. If you cant find a direct flight, the next best option is via D¼sseldorf. They do have full flat bed seats on the trans-Atlantic portion of the flight. Your next option would be Finnair, but some of their planes feature old angle-bed seats. Other than airberlin and Finnair, there are multiple connection options that include American Airlines and their other oneworld partners. As always, avoid using British Airways on trans-Atlantic or trans-Pacific flights due to their high fuel surcharges. Simply put, if you cant find a business seat award ticket to Berlin at the saver level on United, I don’t recommend using MileagePlus miles for premium class on Star Alliance partners as it costs more than flying on United. Surprisingly, Delta still has pretty good summer availability to Europe. I wrote about that phenomenon in my post about flying to Madrid in a premium seat. Its likely that you would fly to Berlin via Amsterdam (on KLM) or Paris (Air France). KLM is a mixed bag: Their 777 planes feature angle flat-bed seats, while the new 747s feature full flatbeds. Air France planes have angle-flat seats currently. A Delta business-class award ticket to Berlin will cost you 125,000 miles per roundtrip. Please keep in mind that the Delta search engine leaves a lot to be desired. If you see an exorbitant amount of miles requirement when you arrive at the reservations page, always sort by “Miles per Passenger rather than “Best Match,” which are not always necessarily best.